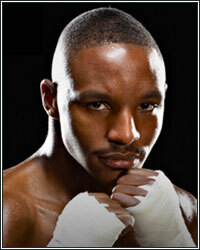 DEVON ALEXANDER: "I'M GONNA SHOW 'EM WHY I DESERVE TO BE ON TOP"
"He is one of the toughest fighters out there. You know he's gonna come for you. We know what he's capable of, and he's got power. He's a good fighter and I respect the way he comes to fight, but February 25th, it isn't gonna be enough...People didn't know I was struggling to make 140 and didn't know I wasn't at full strength...Skill don't just disappear and diminish out of nowhere like that. People will see. I don't want no more excuses and I want people to give me my props when they see me now...I'm gonna show 'em why I deserve to be on top...It's gonna go down and be a good fight. I'm gonna bring it and Maidana's gonna bring it, and it's gonna be a war," stated former jr. welterweight champion Devon Alexander, who talked about his upcoming February 25 welterweight debut against Marcos Maidana. Check out what else he had to say! DK: What's going on Devon? How's training going? DA: Training is going excellent. We been in camp 3 weeks now and camp is going smooth. I was doing strength traning before camp, and now we're in camp and I feel good and I'm ready to rock and roll. DK: You mentioned that strength training. I know you and Kevin [Cunningham] were working on that hard before camp. Can you feel the difference? DA: Well, you know, at 140, I had power up until recently. It was getting hard for me to make 140. Now I'm up to 147, nobody is even trying to push me around. The last few fighters weren't respecting my power and weren't showing me respect. Now, it's a different story and now they're having second thoughts. My arms feel strong, my legs feel strong, and it's gonna be a good fight on February 25th. DK: What adjustments have you made as a fighter since the last time out? DA: Just re-evaluating myself. You know, just studying my tapes and seeing what went wrong and what needed to be improved on. I've been off for 5 or 6 months and this break has definitely helped me learn. I'm smarter and becoming an all-around, complete fighter. Maidana is gonna see I'm thinking more and I'm a smarter, more well-rounded fighter. I'm just excited. DK: The last couple fights, you trained in Vegas or Colorado. Why the change to stay in St. Louis for this camp? DA: Well, you know, we got our own private gym now. We're able to focus like we wanna focus. It's not a problem for me training in St. Louis. It's not a problem at all. I won my first title against Junior Witter training in St Louis. You know I'm not one to go out. I don't smoke, don't drink, or go out much. I love training here because you close to home and close to family. DK: I'm with ya. Talk about Maidana. What do you think of him? DA: Well, um, you know, the boxing world knows, and I know, he is one of the toughest fighters out there. You know he's gonna come for you. We know what he's capable of, and he's got power. He's a good fighter and I respect the way he comes to fight, but February 25th, it isn't gonna be enough. DK: He is a tough dude that comes to fight no matter what. Do you think his power will carry over to welterweight? DA: Actually, I didn't know until the press conference that I'm kinda bigger than he is. I'm not trippin' over his power. Skills pay the bills and I know what I'm capable of and I know what he's capable of. I'm not trippin' over his power. DK: A lot of people were writing you off after your last couple fights. Does that give you extra motivation? DA: It does, but you know, that's people that don't know boxing and true talent, and don't know what I'm capable of. People didn't know I was struggling to make 140 and didn't know I wasn't at full strength. I was 56% coming into the ring. I was 100% with Urango and Witter. Skill don't just disappear and diminish out of nowhere like that. People will see. I don't want no more excuses and I want people to give me my props when they see me now. DK: So it does drive you a bit after the last 2 or 3 fights? DA: Yeah. I know my last couple perefomances wasn't my best. Kevin and I set the bar high for myself and I accept the criticism. When I was knocking people out, I accepteed the compliments. That's just life. I can't worry about that. I know what was going on and at 147, I'll show 'em. DK: How happy are you now that you're with Golden Boy instead of Don King? DA: Well, you know, I'm not taking nothing from Don. Don's a good promoter, but Golden Boy is on the rise, and they got the fighters in their stable that I wanna fight to be put in super-stardom. And I want super-stardom. Don just doesn't have those fighters that can get me to where I need to be, and Golden Boy is a good fit right now because I wanna get to the Manny and Mayweather's pretty soon. DK: I feel ya. Let's get back to Maidana. This dude is gonna bring it. Are you gonna stand and trade or try to outbox him? DA: (Cutting in) I'm not a tradng type of fighter. That's what he's good at. I have skills, so why would I brawl with a brawler when that's not my strength? But I'm not running from him in the ring. I'm gonna be smart and just outbox him. It's gonna be a good fight and people are gonna enjoy it. DK: In a few words, what are you looking to prove to yourself and all the critics? DA: This is why they call me "Alexander the Great". This is why they said I was one of the best up-and-comers and why they gave me all that praise before. I'm gonna show 'em why I deserve to be on top. DK: Have you watched tape of the Matthysse fight? DA: Of course. I was fighting just on pure guts. I didn't have any energy and was trying to get through the fight the best way I knew how. I still think I edged it out though. DK: He and Maidana have similar styles. DA: They do. It helped me out a lot. I could've blew Matthysse out when I had energy in the first few rounds and I think most people could see that, but I just couldn't keep it, and I learned from that fight and I'm taking it to the next one. DK: How many times are you looking to fight in 2012? DA: I wanna fight at least 4 times. Put me back to where I need to be so by the beginning of next year, I'll be in a big fight on pay-per-view. I'm not sayin it just for talk, because I'm not playing anymore. I'm gonna be ready for all of 'em. DK: Any eyes toward the future if you beat Maidana? Is the winner of Berto vs. Ortiz of interest to you? DA: Of course. All of them interest me. I haven't run from anyone. I got one of the more impressive resumes out there. You pick someone who has my resume and ain't running like I am, holla at me. I'll fight anybody as long as it's right and as long as me and my manager feel it's in our best interest. I'll definitely be looking for another big fight after this. DK: Alright D, I won't keep you any longer. Anything else you want to say to the fans? DA: Fans, I'm in camp working hard. February 25th, be watching. It's gonna go down and be a good fight. I'm gonna bring it and Maidana's gonna bring it, and it's gonna be a war.